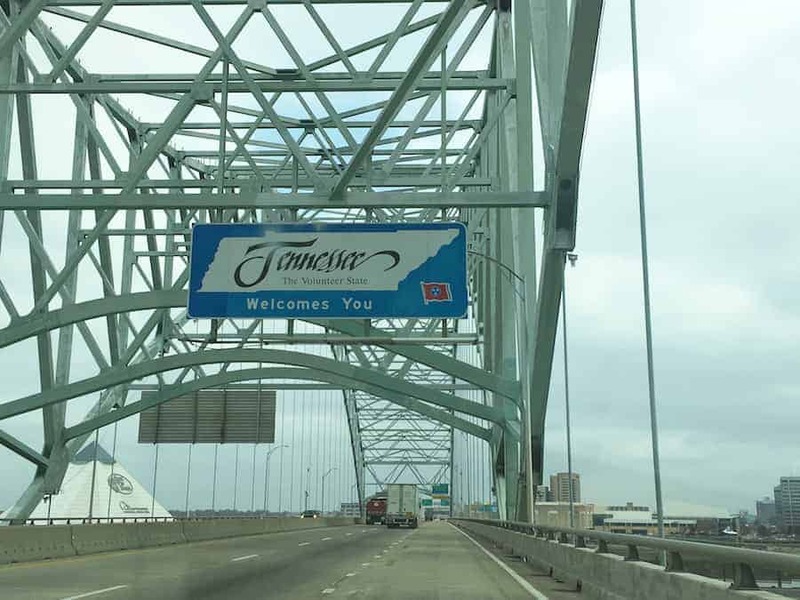 We took another lazy route yesterday, passing through Brownsville and traveling down 14 into Memphis. I’ve tried multiple times to add the Google map of our route, but every time I go to embed it, it switches the route back to I-40, which isn’t the road we traveled. I got frustrated and scrapped the map for now; I’ll try again later when I have more patience. Between the hot chicken, hamburgers, and BBQ, we’ve been eating our fair share of protein the past few days. We were both hoping for a salad, so I found a deli, we got some salads to go, and brought them down to the riverfront park on the Mighty Mississippi. And mighty it was. Still overcast, still grey, but not raining! The park was lovely. 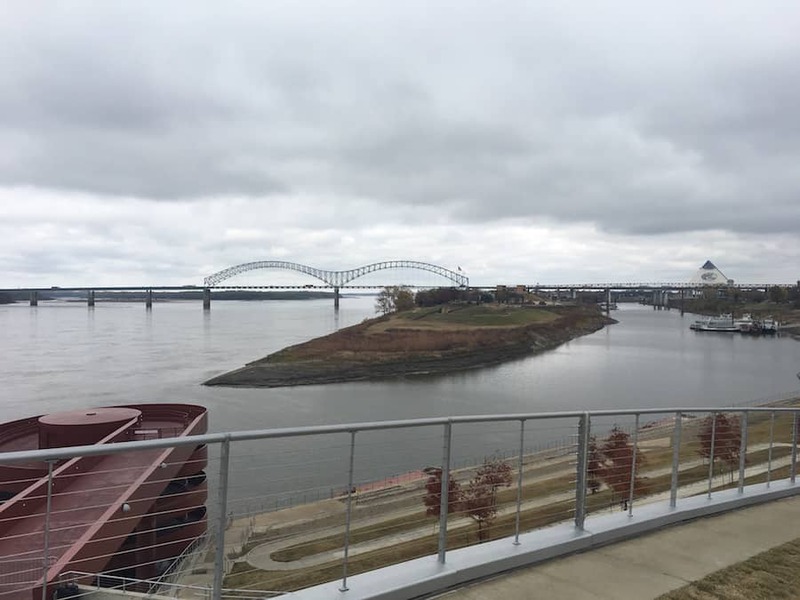 It had a riverfront path that was marked in 1/4 mile increments, and a setup called RiverFit with different workout stations. I of course had to try out the monkey bars because I’m still 12 years old somewhere deep down inside, but I’m happy to report I was able to make it all the way across. He pulled the back of his sweatshirt up over his head, like he was protecting himself from the rain. Then he shrugged it off and danced around the living room with me while my mom kept calling for us to come to the table. I kept giggling and he kept dancing, and we stayed through the whole song, ignoring her calls. Every time I hear that song, I always think of that night. 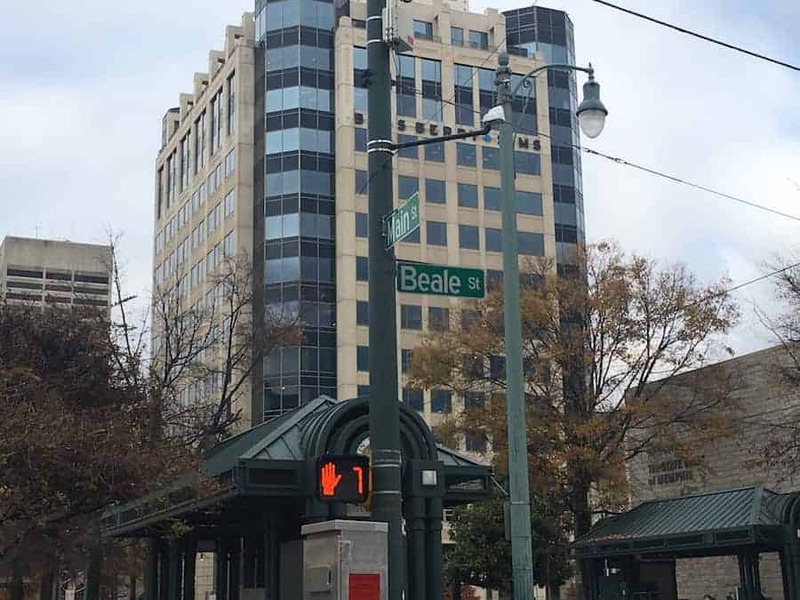 So naturally, I had to see Beale Street for myself. I got a little excited at the first street sign I saw for it, and rolled down the window to take a picture. Turns out I had no idea what I was in for. Bars and restaurants, little music dives, and lots and lots of neon signs. We parked and strolled down it to check it out, but it being the middle of the day on a Tuesday, there wasn’t much live music to be had. At the end of the road, across from Coyote Ugly of all places (no, I didn’t go in) was this theater called the Daisy. It wasn’t open, but the architecture and vibe was so wildly different from the rest of the street that I snapped a picture of it. My research into it has been a bit confusing, as it appears they have opened the ‘New Daisy Theater‘ across the street. Based on this article, I think this one remains a historic venue and is used as a rental for events. Regardless, I thought the architecture was neat. 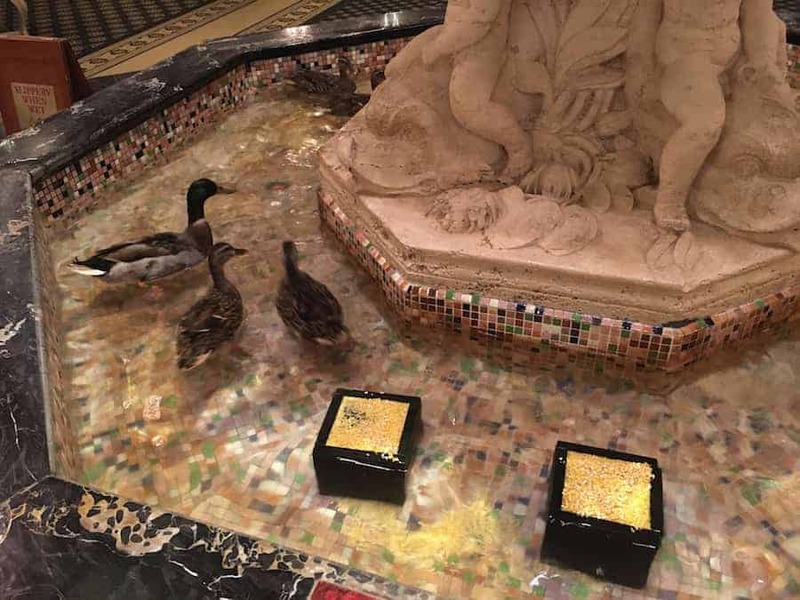 From there we strolled over to the Peabody Hotel to see the ducks in the fountain. 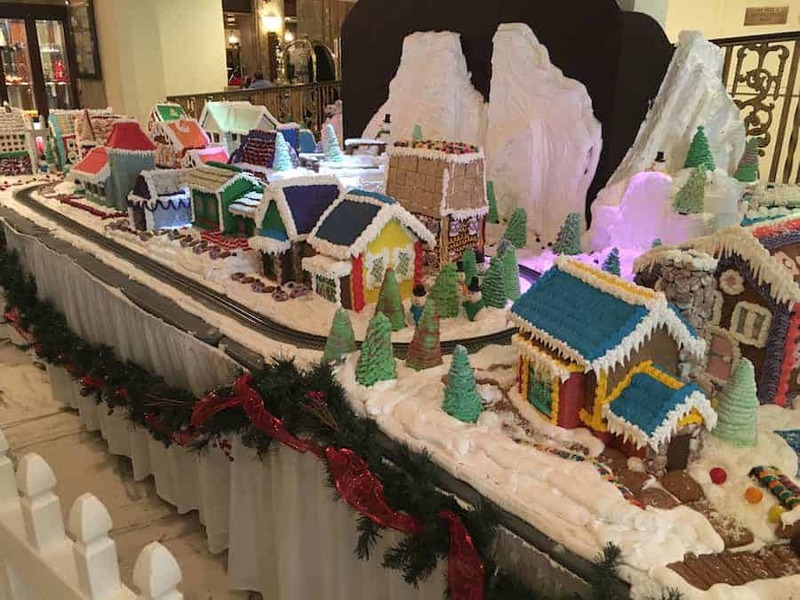 Right inside the front door was an entire gingerbread house village, which I know my mom would have loved, so I took a picture of that too. Then the ducks! They swam around in circles, and away from the little girl that was chasing them. We missed the red carpet ceremony, but they were still pretty fun to see. We headed back to the car so we could go get checked in and settled at our Airbnb. We decided to swing by the Civil Rights Museum on our way, to see the site where MLK, Jr. was killed. 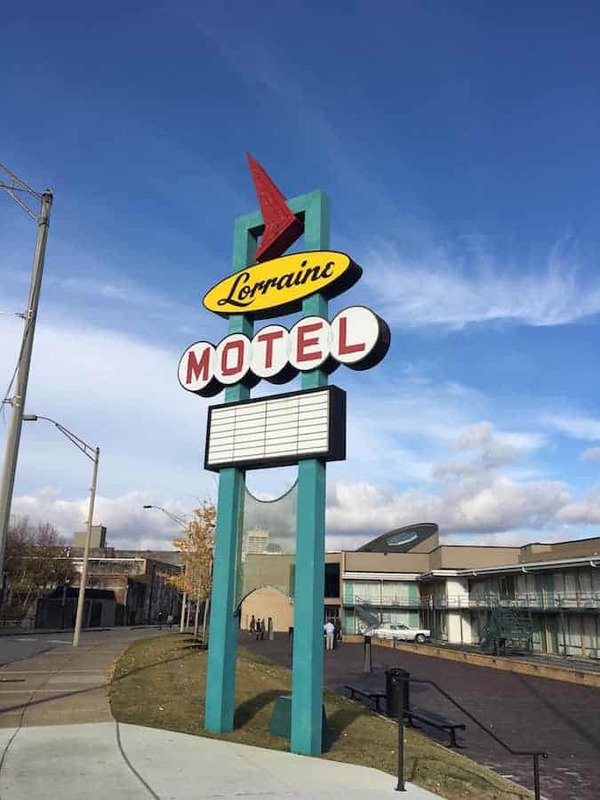 The museum sits attached to what used to be the Lorraine Motel, and the site where he was shot is marked by a wreath on the second floor balcony. As I was walking back to the car from taking these photos, I couldn’t help but notice this “station” set up across the street. The woman sitting behind the signs noticed me eyeballing her and waved, so I headed over to talk to her. Mind you, in my everyday life, I would steer clear of someone like this, because you will inevitably get sucked down the rabbit hole in talking to them. But this trip is about meeting people in each town and understanding them, so I walked over to her. 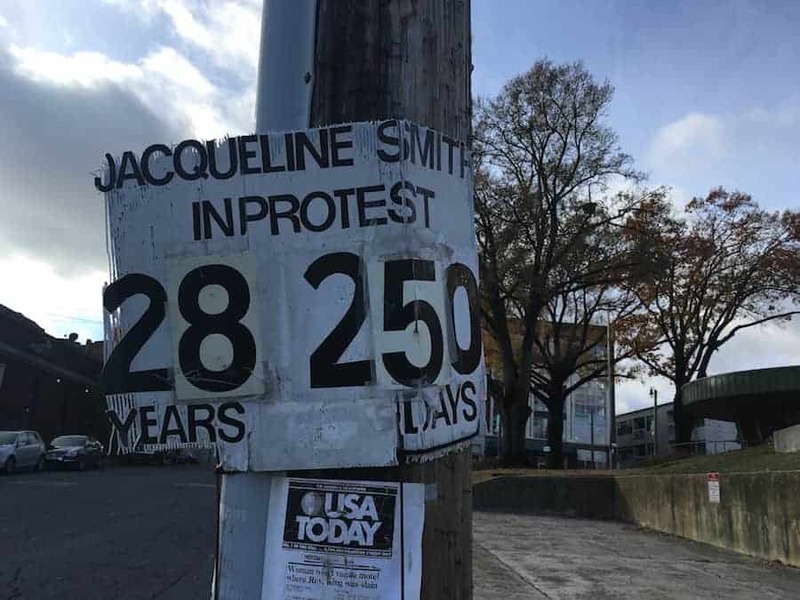 Her name is Jaqueline Smith, and she has been protesting the Civil Rights Museum being located in the Lorraine Hotel for 28 years and 250 days. No, that is not a typo, and yes, I am serious. 28 YEARS of protesting. There are lots and lots of articles and stories about her protest, to include this one, this one and this one, as well as her own website here. I won’t reiterate what those tell you, as you can read them if you want to learn more about her. I explained to her that we were driving around the South, learning about the different cultures and the people who live there, and I was interested in her story. Jaqueline told me she was living in the Lorraine Motel at the time of MLK Jr’s assassination. She was evicted from the motel when it was purchased by the city and renovated into a museum. 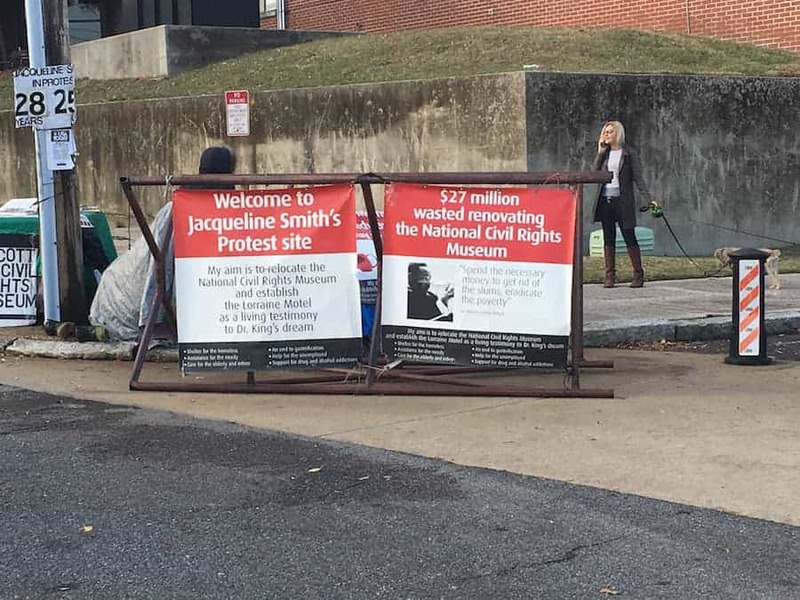 Her opposition is not to the Civil Rights Museum existing at all, but rather, existing where it does. 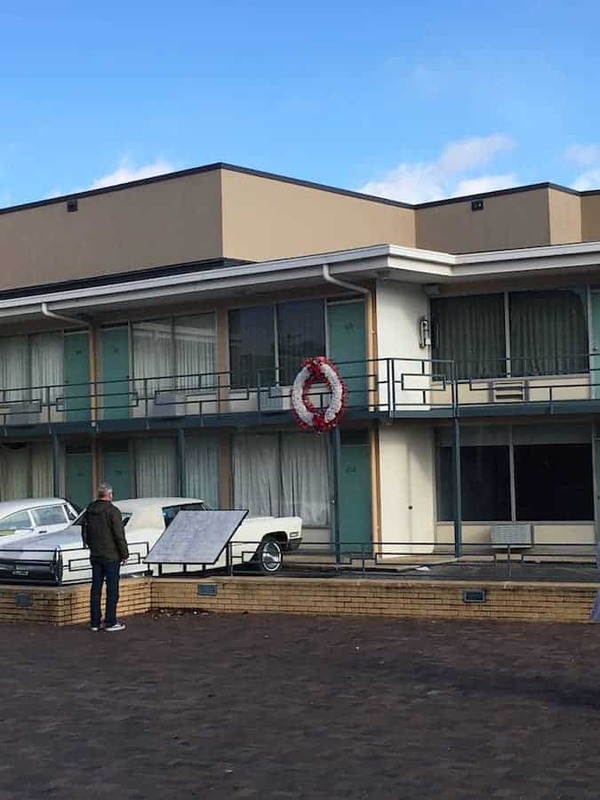 Her point is that Dr. King was all about helping the needy, and what’s been done with the site is not helping anyone, but rather, just bringing in tourists. She told me that the neighborhood has changed and is catering to the tourists who come to the museum. She wants to see the motel be a place that provides services for the homeless, the mentally ill, and other Memphis residents in need. She believes that Dr. King would want this to be how he was remembered, not through $27 million dollars being put into a museum. Towards the end of our conversation, she mentioned the businesses in the city that had been there for years. 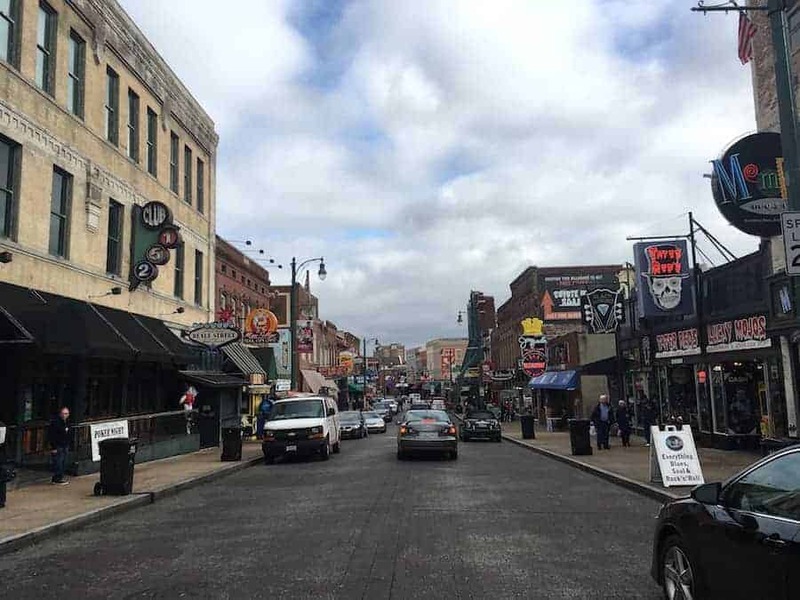 She said people needed to be sending tourists to the places that have been supporting the city for years – local bqq joints & blues joints. 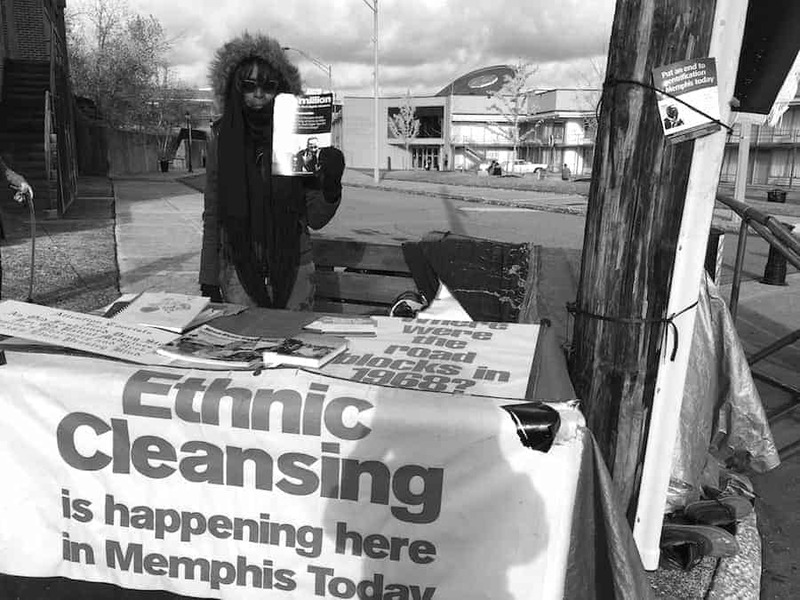 She pointedly told me that they have an American Apparel that was currently going out of business, and everything was 50% off if I wanted to go shopping – because Memphis can’t support those kinds of stores. I asked Jacqueline before I left if I could take her picture, and explained that I would be using it on my blog to write about her story. She said she would be happy to pose for a photograph, but she would be standing up, because Dr. King would never have sat down to have his photo taken. The everyday me, who wouldn’t have stopped to talk to Jaqueline, also would have written her off as a kook. I mean really, who protests the same cause for 28 years? She’s gotten no traction, and no changes, but she sits out there, day in and day out. Now granted, I personally feel like her 28 years could have been spent living her message, and finding a way to provide those services she speaks about to those in need through another means or venue, but that’s just my personal opinion, and I’m sure Jacqueline has her own reasons. But I’d be lying if I said I didn’t see her point or understand her message, and it definitely makes you stop and think about the way money in cities is spent, and if the people making the decisions on that spending are perhaps so far removed from it that they don’t see the needs of the people. That’s a rabbit hole of government debate, though, so I’ll leave it there. All I’m saying is yes, Jaqueline might be a little crazy. But she might also be a little bit right. We headed to our Airbnb, the upstairs level of a lovely couple’s house in the Midtown Memphis area, Jen and Chris. I had already messaged Jen a number of times, we had some common interests, and I was excited to meet her. They arrived home shortly after we got there, and we met Jen, Chris, and their two kids, Harper and Posey. We chatted for a few minutes, but Chris had to get back to work, and we went out to explore town. 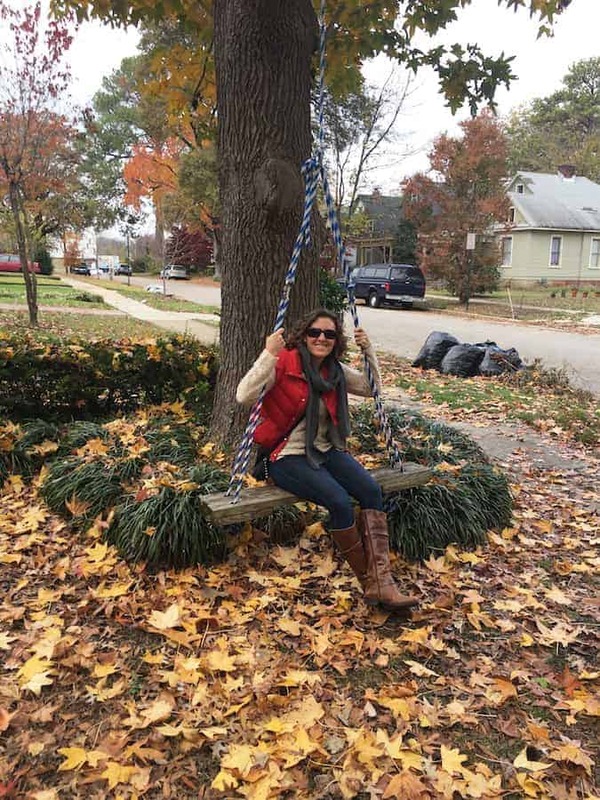 They had an amazing swing in their front yard, and again, since I’m 12, I had to swing on it. Switching to their house from the high rise we originally had booked was the best decision I could have possibly made. 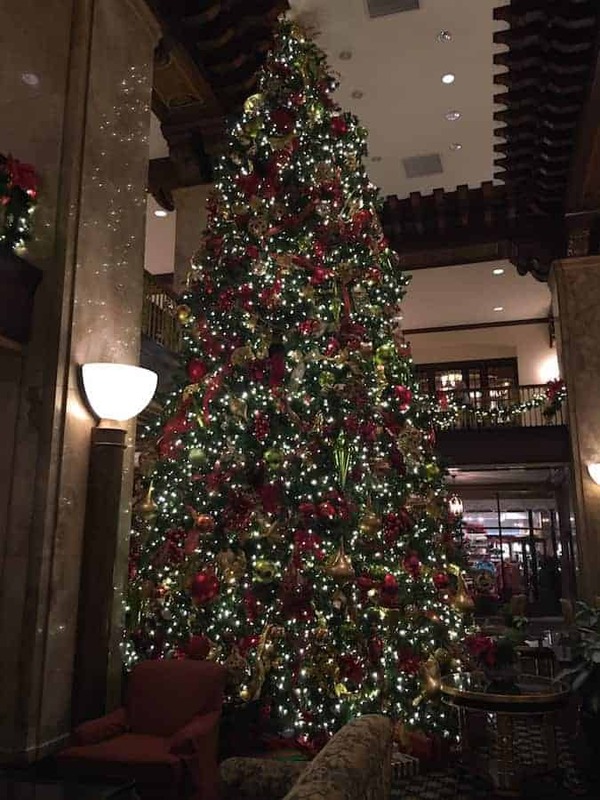 We ended up having dinner at a place called Bar DKDC (Don’t Know Don’t Care) and shared some yummy small plates, then went back to the Peabody for an after dinner drink and to enjoy their awesome Christmas decorations! 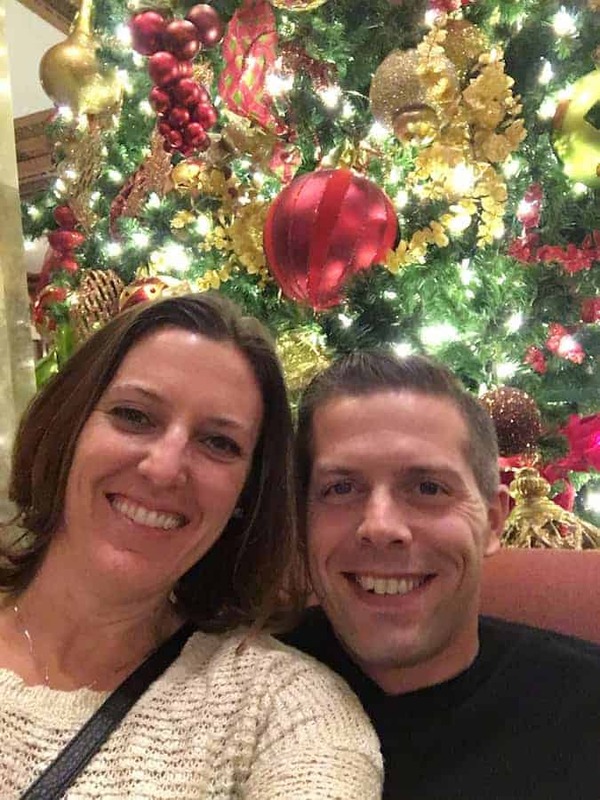 We took a selfie in front of the tree, but I think the entire tree and lights look photoshopped into it. I can’t decide if I love it or hate it. 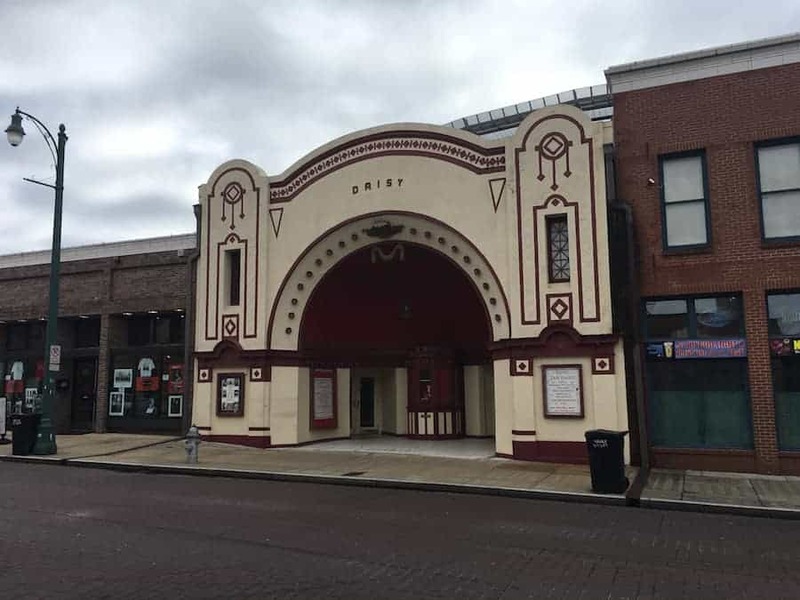 This morning, we woke up and headed over to Theatre Memphis on the east side of town. 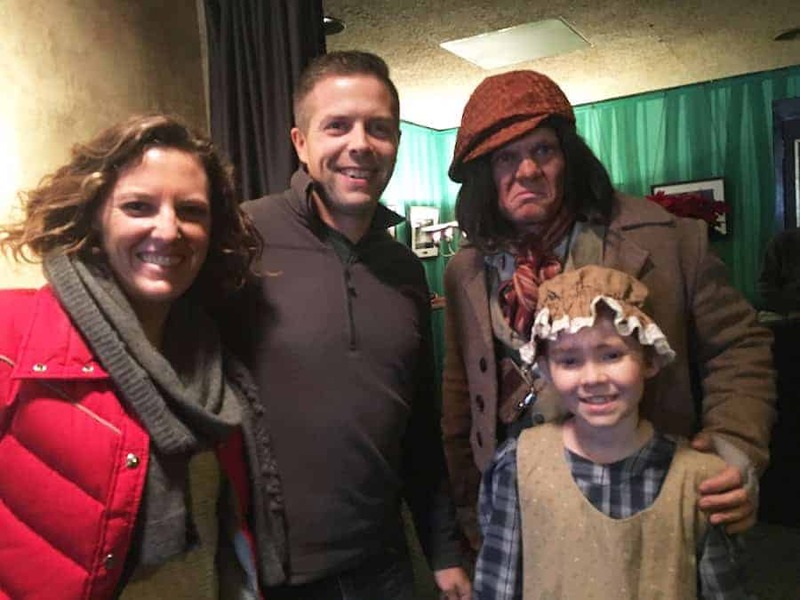 The husband, Chris, and daughter, Harper, of our Airbnb host family, were in a production of A Christmas Carol, and I had asked Jen to reserve us some tickets. I can’t do this play justice in words. It. Was. Amazing. The acting, the costumes, the singing – everyone was so incredibly talented. They wouldn’t let us take any photos during the show, which was a bummer because I wanted to get a shot of the whole cast, as well as a shot of Chris as Jacob Marley’s ghost. He flew in on chains and was seriously terrifying – his voice and the special effects were so well done. They didn’t have a lot of time before the next show, but we were able to get a quick picture with Chris and Harper before they had to head back to get ready. 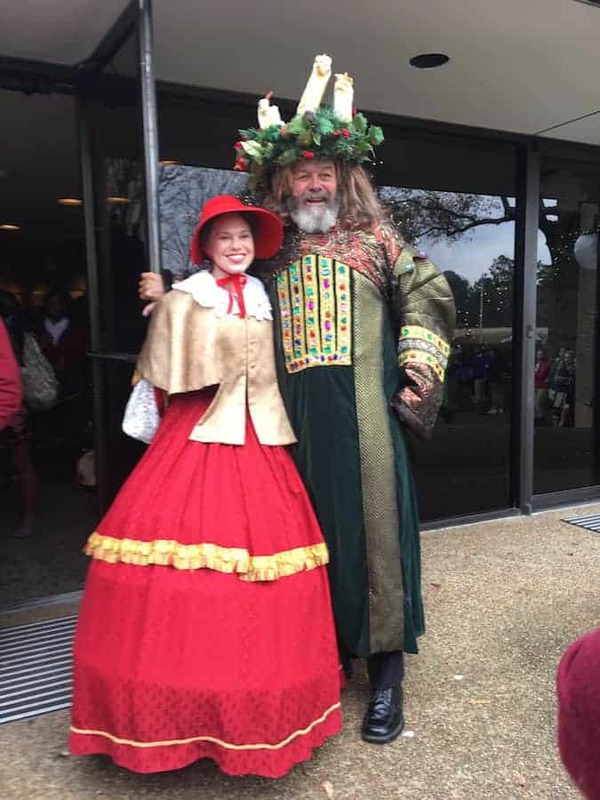 I snapped one more photo of a couple of the other costumes that were standing outside on our way out. The guy on the right was the Ghost of Christmas Present. Our last stop on the way out of Tennesee? Arkansas. 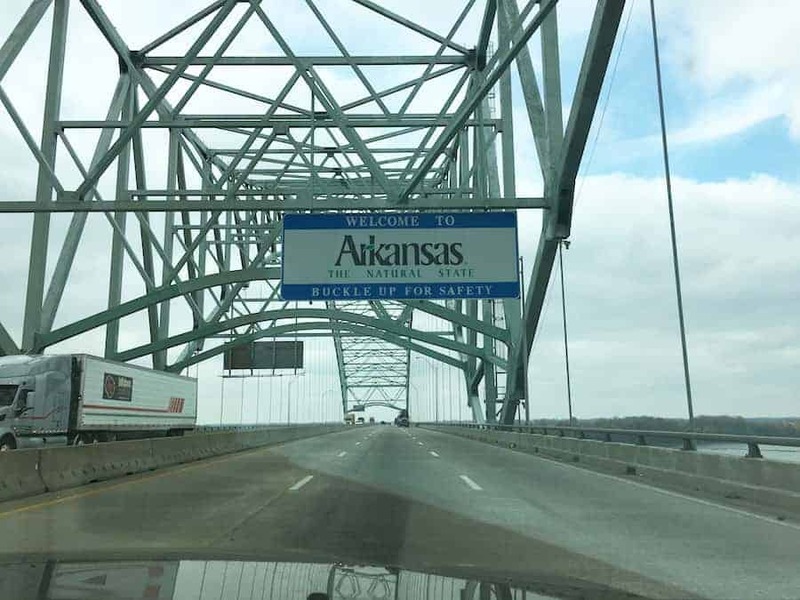 It was right over the bridge, and Brandan wanted to drive over just to say we went to Arkansas on our trip. Let me tell you…there is NOTHING right near the state line of Arkansas and Tennessee. Over and back, but it counts! Today’s life lesson? Your time on earth is valuable. Make sure you spend it in a way that will leave this place better than when you got here. I get what Jacqueline is doing. I really do. And I don’t even really think the things she’s saying are all that crazy. She makes some good points. But 28 years of sitting in one place and “peacefully protesting” the city is not creating actionable change. If she realized that on some level, she is not being heard, she maybe, just maybe, could make a bigger impact elsewhere. What about finding a way to put the services she wants to implement somewhere else? Or creating ways to bring more jobs to the local area? Or working with local businesses to increase their patronage? She’d be growing those businesses she references, making changes in the lives of the business owners, the homeless, the mentally ill. Instead, she just sits there, day in and day out, telling any passerby willing to listen that the Lorraine Hotel should not be a museum. At the end of the day, I want to know that I spent my time in a way that helped someone else. I get this through coaching at the gym, encouraging people to be the healthiest, fittest version of themselves. I get it through creating healthy recipes for all of you, to encourage you to nourish your bodies with the nutrients your body craves. I get it through growing my own vegetables, however sparse, and knowing I’m in some small part, “sticking it to the man.” Spending less of my dollars supporting big chain stores, produce that was grown in China months ago and shipped here, and learning more about farming and growing so that I can pass that knowledge on to others. The moral of the story? Whatever you do, don’t just sit there and preach about the cause you believe in. Practice what you preach. Get out there and DO something. We just got settled at the Shack Up Inn in Clarksdale, MS, one of the most unique lodging places I’ve ever stayed – and that’s saying something. I’m sure we’ll have tons of stories for you after our two days here – plans include Morgan Freeman’s Ground Zero Blues Club, & Red’s tonight and a day trip tomorrow to the Birthplace of Kermit the Frog Museum in Leland, as well as a stop in Cleveland, MS on the way. Then we’ll head back to the Shack Up Inn and hang at their on-site blues joint before we head to Starkville on Friday. And you know what that means…graduation! I’m not sure which one of us is more excited. Stay tuned for more crazy adventures coming to you from the Mississippi Delta.